It’s the shift in seasons and whether we like it or not, it has a huge impact on the condition of our hair. Our manes have put up with saltwater, the sun and other dehydrating agents over the past months. This could, in the worst case scenario, lead to hair loss. But no need to freak out – in this week’s blog post, we tell you how to prevent it! A lot of people tend to think that damage on the hair only exists at the ends, but that is not the case. The change in season is a stress which causes dysfunctions on the scalp and can, eventually, lead to hair loss. When it comes to temporary hair loss, the problem is that there is no quick replacement of hair in the follicle as usual. Therefore, we have periods over the year that our hair feels thinner. In those times it’s super important to have a healthy diet and fill up with vitamin c, d, e, and of course biotin. All of those power ingredients can be found in Nutrafol, a supplement available in our salons. In addition to filling up with healthy nutrients, you should also invest in a deep conditioning treatment now and then. How often? If your hair is really dehydrated, I’d recommend 2-3 treatments that fulfill your needs. In our New York City locations, we offer the very popular milbon treatments as well as take-home masks from Oribe and Label.m. Remember, breakage travel inside the cortex so make sure to get rid of the dead ends as well. One thing I cannot stress enough about is to use products for your specific hair type. 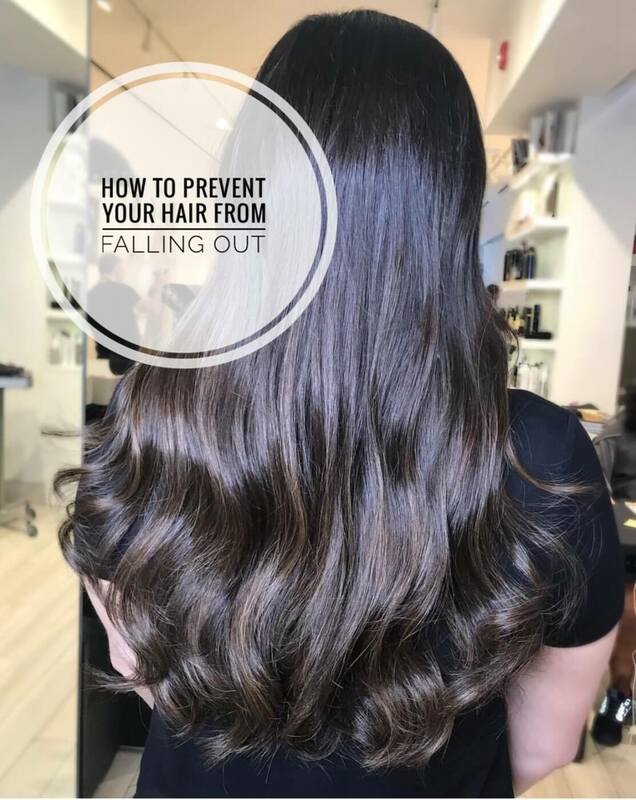 How you take care of your strands in between your visits to the salon is so important and you want your results to last as long as possible. A Fabio Scalia Salon we’d be happy to prescribe you with products customized for you. Fabio Scalia is an upscale hair salon in SoHo and Brooklyn Heights, New York. We offer services such as haircuts, styling, balayage, coloring and extensions.